Did you know that up to 70% of energy loss happens through a poorly insulated or ventilated attic? Believe it or not, your attic is one of the most important factors in making your home more energy efficient. And a poorly insulated or ventilated attic can also reduce the life of your roof, especially with the extreme heat of Texas summers. 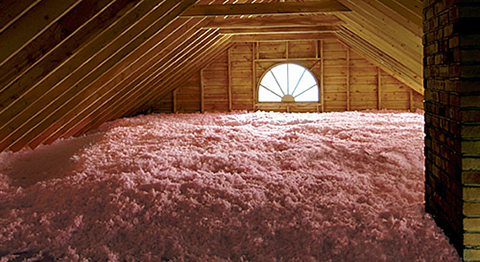 Blow-in fiberglass insulation which provides excellent coverage in open attics. Cellulose insulation which is made from recycled newspapers. Both of these insulation applications add R-value to existing insulation and create a fresh new blanket of energy-saving protection. The second step you can take to improve the efficiency of your attic space is to ensure you have adequate attic ventilation. Poor attic ventilation can ruin your insulation, destroy or damage your roofing shingles and significantly raise your energy bills. 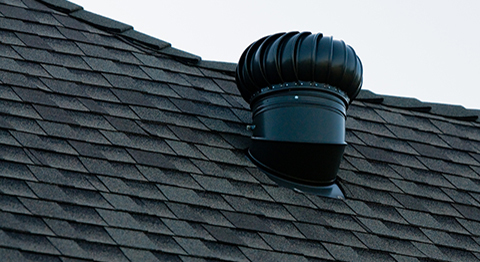 During the hot Texas summer months, poor attic ventilation can cause heat to build in excess of 170°F. This super-heated air eventually penetrates the ceiling insulation into the living area below, as well as through the roof decking above, damaging your shingles. In the winter months, bathtubs, showers, cooking vapors and household appliances can contribute to excess moisture build-up. Poorly ventilated attics will allow this excess moisture to collect on the underside of your roof. This moisture tends to condense and fall, soaking your attic insulation and reducing its effectiveness. Install roof vents or fans in increase air flow within the attic space. Increase the size of or add new soffit vents around attic spaces to improve air flow.